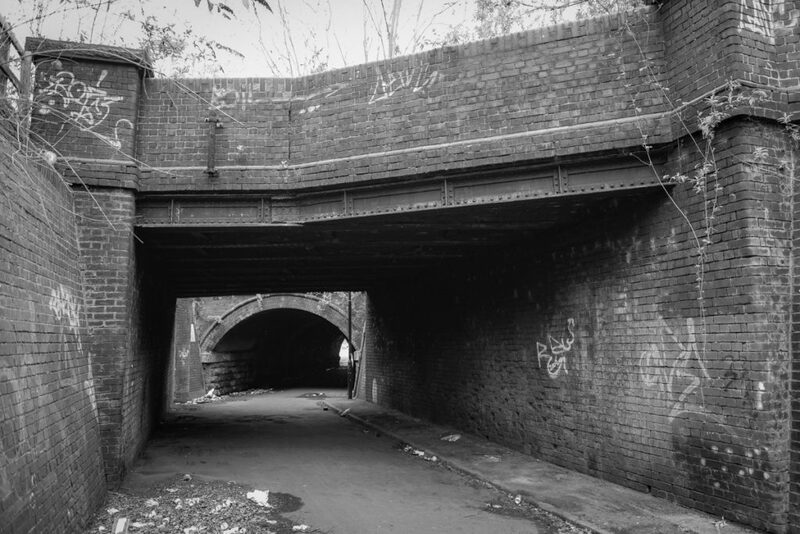 Colliery Road in Sheffield Brightside is an odd throughway that passes under the Midland Mainline Railway providing a 290m (317 yards) route between the junction of Brightside Lane and Weedon Street to Holywell Road. 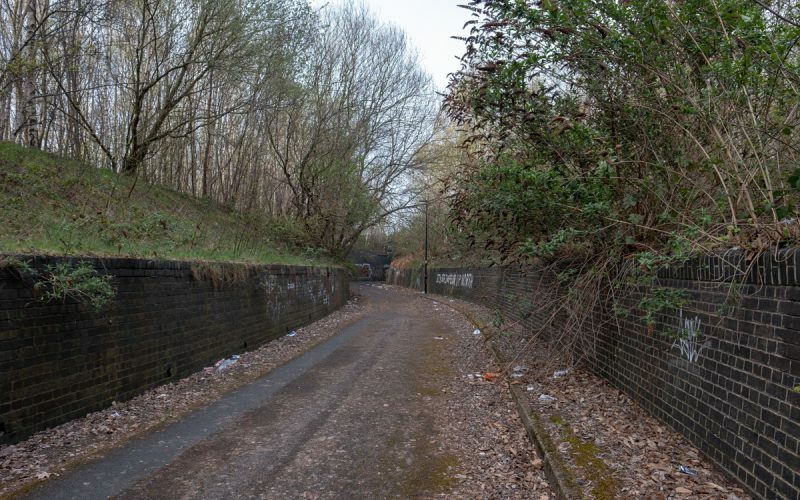 It is a narrow single track road and the the Brightside Road end has been cut into the hillside to accommodate the railway junction and sidings above. 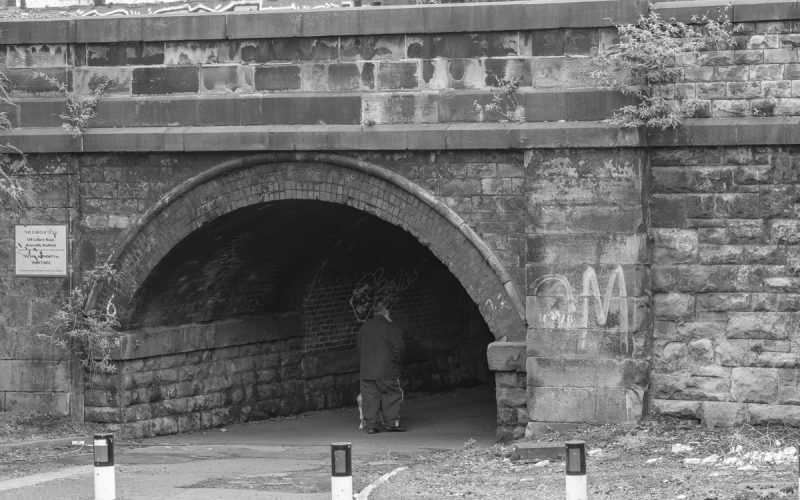 Nowadays access is limited to pedestrians and cyclists as at 2.32m (7′ 6″) high the bridges are far too low to be of any use for general traffic. 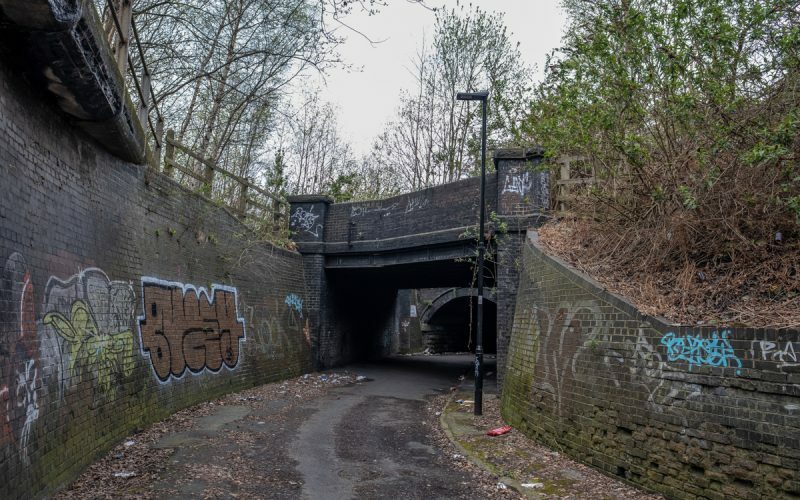 In this short essay I am looking a little into its history, the modifications that have changed the road to accommodate the railway and to speculate why it exists at all. 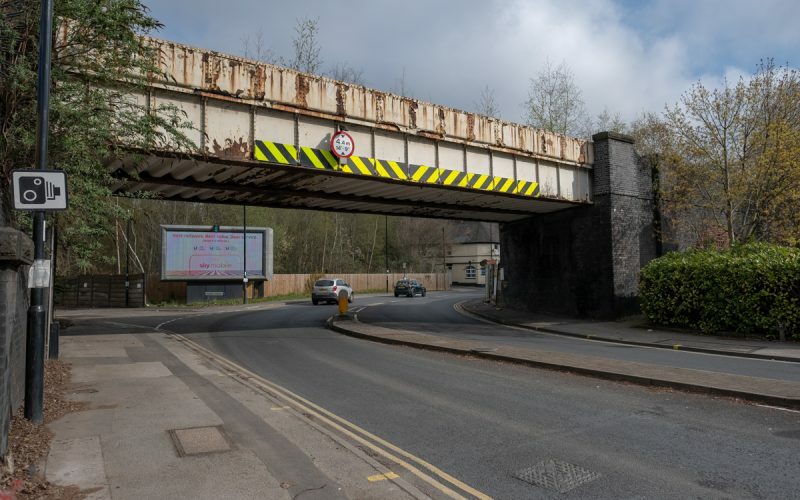 Two rail bridges run over the road, one for the Midland Mainline, originally the Sheffield to Rotherham Railway, constructed in 1838/39, this bridge is referred to in Drake’s Road Book published in 1840 where he says “We now cross a private road by a beautiful stone bridge – one which is infact the only ornamented bridge upon the line, and also the only one that is graced with parapets”1. 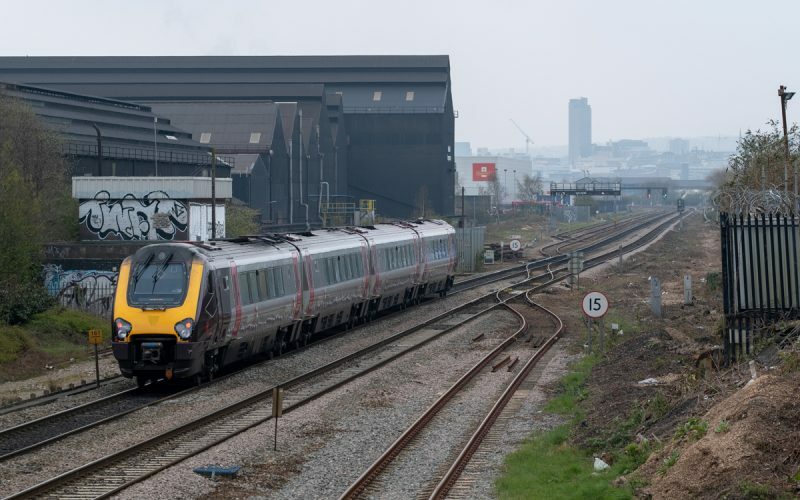 The other is now disused, it was part of Brightside Junction giving access to the various steel works as well as a line towards Catcliffe and the south as part of the Sheffield District Railway. 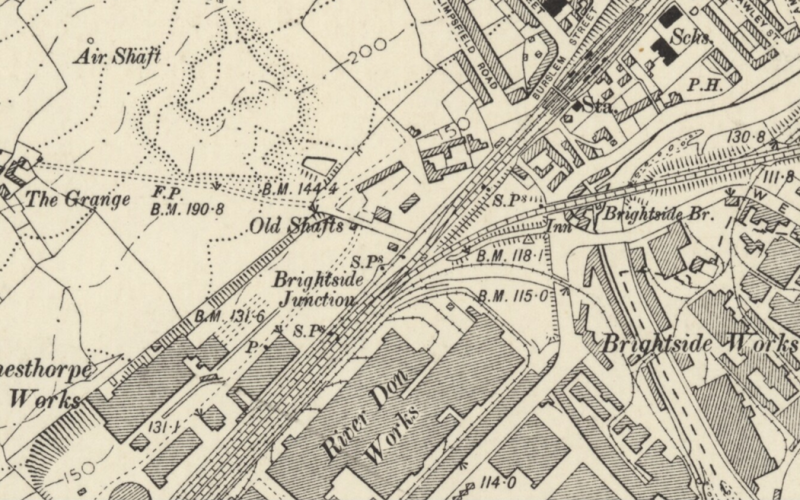 As well as the two we now see, sometime between 1880 and 1955 there was also a third single track bridge on the north western side used for the gas and chemical works. 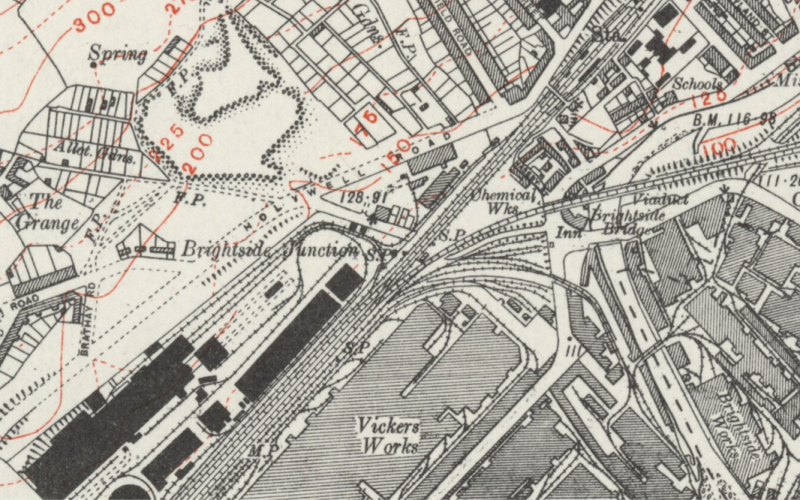 The 1854 map (Yorkshire 289) shows a footpath or track approximately following the route of the road today, leading from Brightside Road under the railway and up to The Grange farm at the end of Wincobank Lane, on the 1892 map this is shown as a footpath, it looks to have been around a 620m (678 yards) walk from the farm to Brightside village. 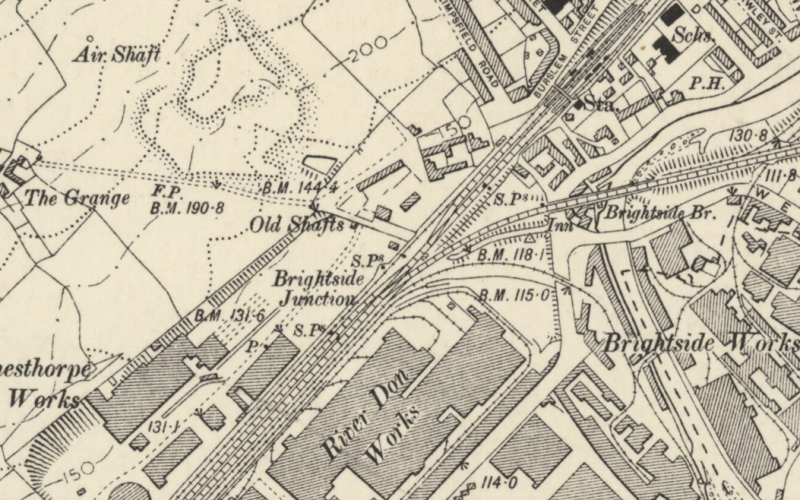 By 1892 Brightside Junction had been added to the railway providing access to the steel works in that part of the Don Valley, at that time Colliery Road was moved to start from near near Naseby Street and run alongside the south-eastern side of the tracks for a short while before ducking under the line, this was to accommodate the embankment built for the junction and the goods line into Brightside Steel works. 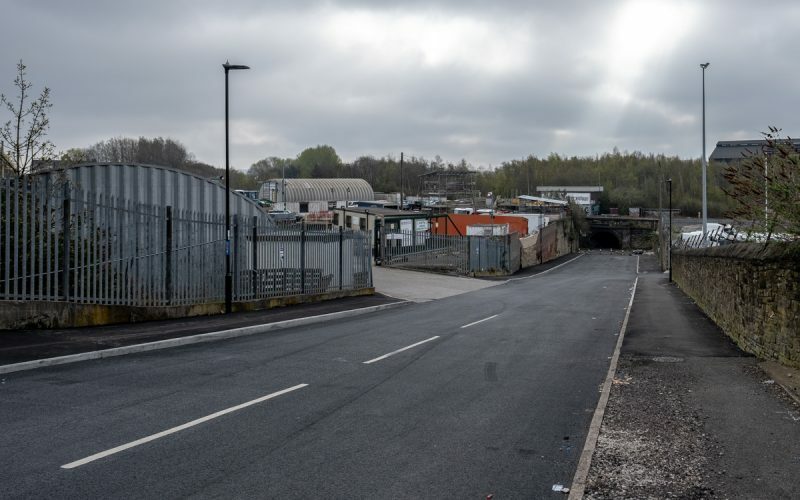 It wasn’t until 1896 when construction started on the Sheffield District Railway that the road was moved to go between the new railway and the existing goods line, this is when the roads route was fixed to that we see today. 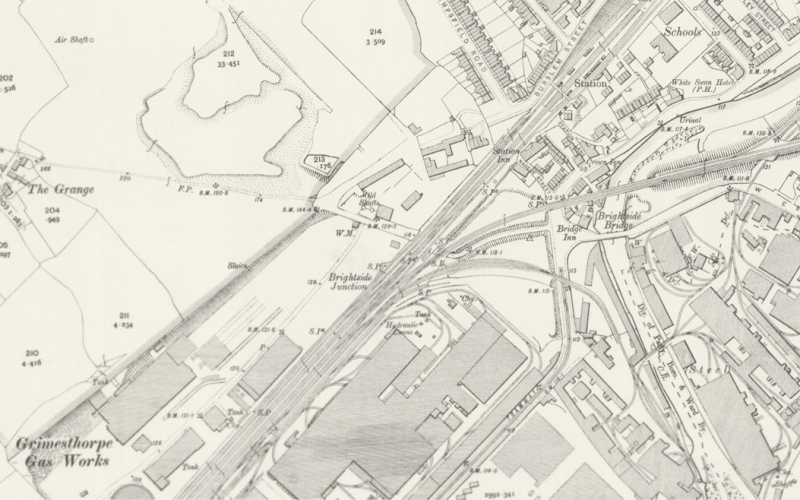 In the 1930’s on the north-eastern side of the tracks Holywell Road was extended from Upwell Street alongside the Gas Works to connect to Limpsfield Road and replacing Burslem Street as part of an expansion of housing into the area. 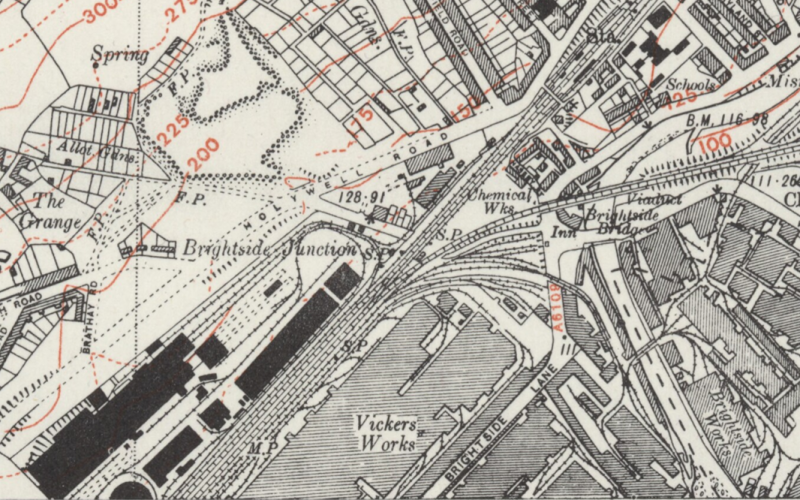 Before then this part of Wincobank was mostly farmland with some industry alongside the railway, most notably the 1906 map (CCLXXXIX.SW) shows the Grimesthorpe Gas Works taking up a large amount of land between Upwell Street and Colliery Road. 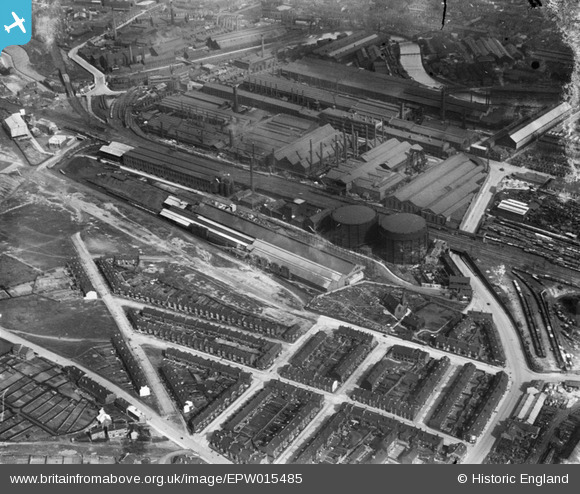 Looking at the 1926 aerial photo below, the exit of Colliery Road from under the railway can be seen on the far left of the image. 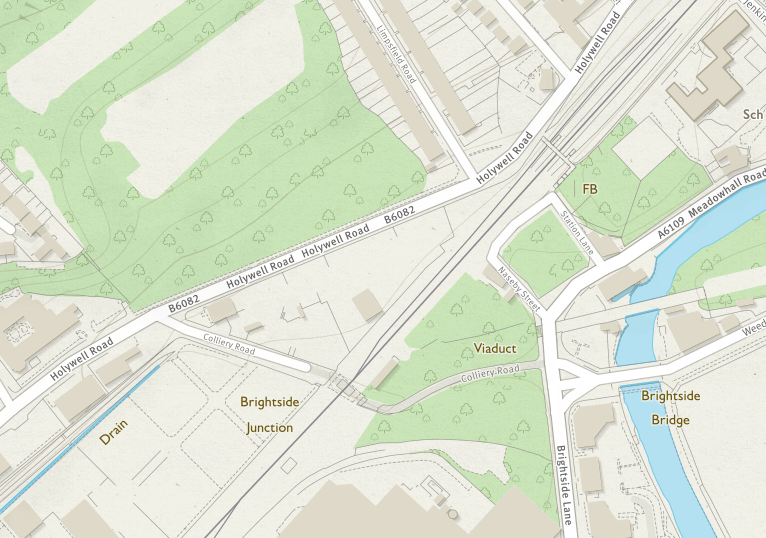 Today this land is used by a mail order distribution centre as well as some smaller wholesalers and trade suppliers. 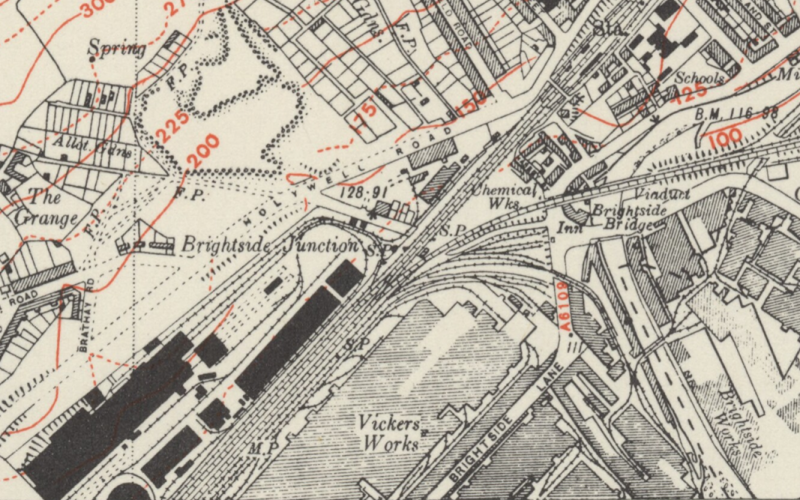 Brightside Colliery was also situated on the north-eastern side, the mine was worked from 1855 to 1886 and the shafts were located at the end of Colliery Road, the colliery was owned by Unwin & Shaw Co. and the pit had two shafts, No. 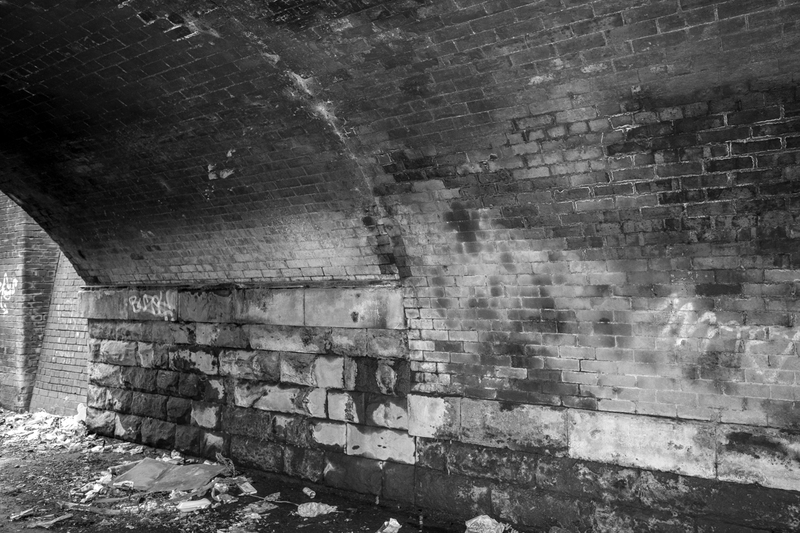 1 from 1855 to 1871 and No.2 from 1868 to 1886, they worked the Parkgate seam2. 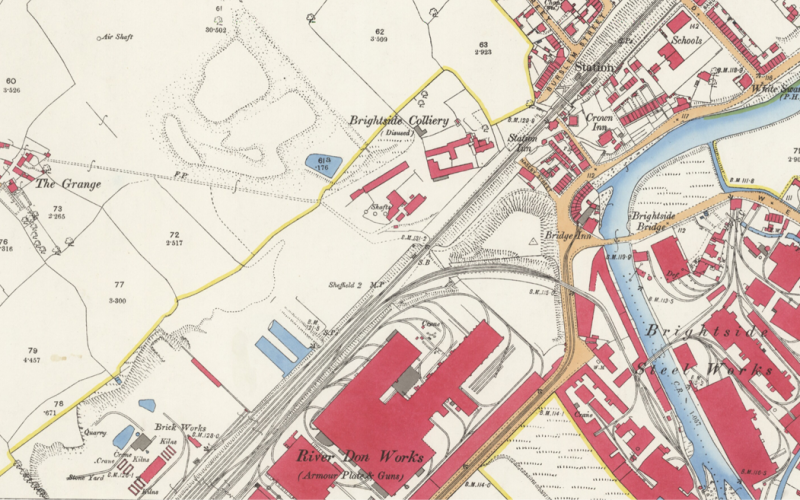 From 1883 until around 1955 the site was occupied by the Brightside Chemical Works which was a part of the gas works dealing with sulphur produced from gas manufacture [Sheffield History]. 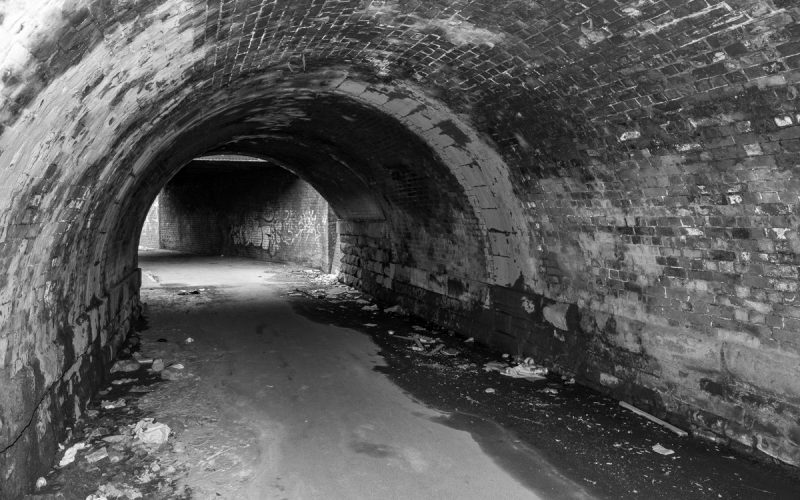 Nowadays the land is used by a self storage facility and a motor vehicle repair company. 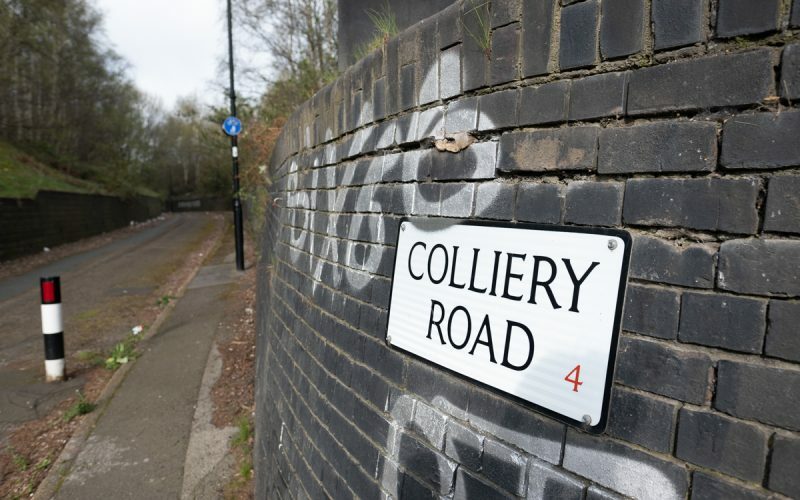 The purpose of Colliery Road? 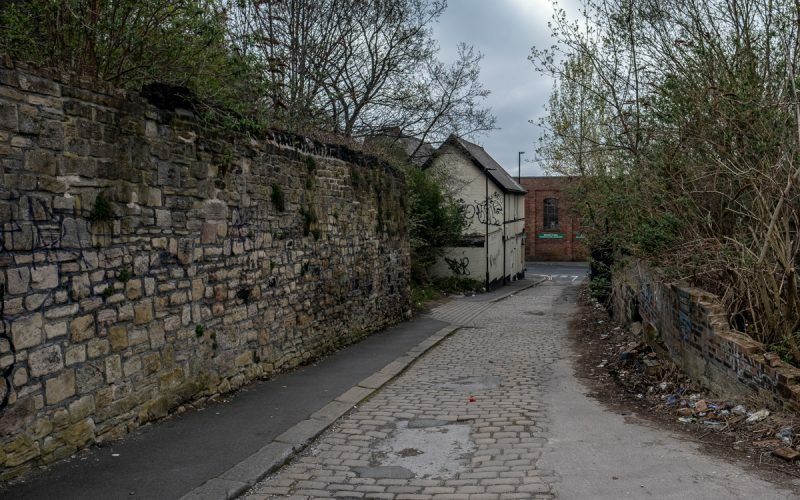 The road must of had a high cost of construction, the changes that needed to be made to have it run under the railway including cutting it into the hillside at the Brightside Lane seems a lot of effort has gone into maintaining a private a road that gives such poor access. A reason for this could be that the colliery supplied coal to the works and foundries on the south-eastern side of the railway, this would justify a bridge for the Sheffield to Rotherham Railway but by the time Brightside Junction was built the mine had been closed for around five years so why go to all the trouble to modify the road? 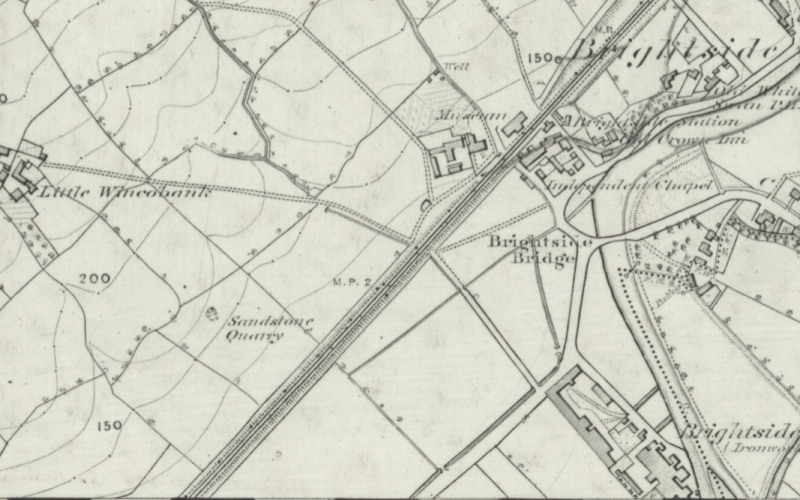 Or is Colliery Road a legacy of the landowner insisting they have access from their farm at The Grange down to Brightside Road? 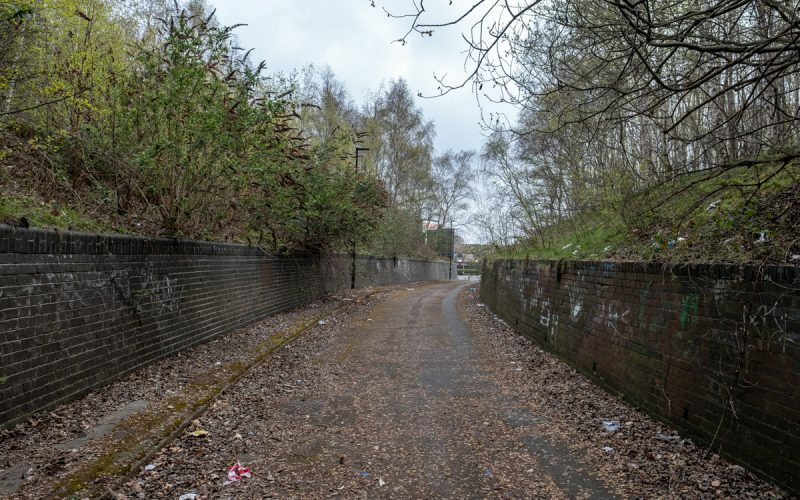 I can imagine a track existing before the railway and it being kept as a right of way as a route to Brightside village and the bridge across the Don which had been there in one form or another since before 16503. 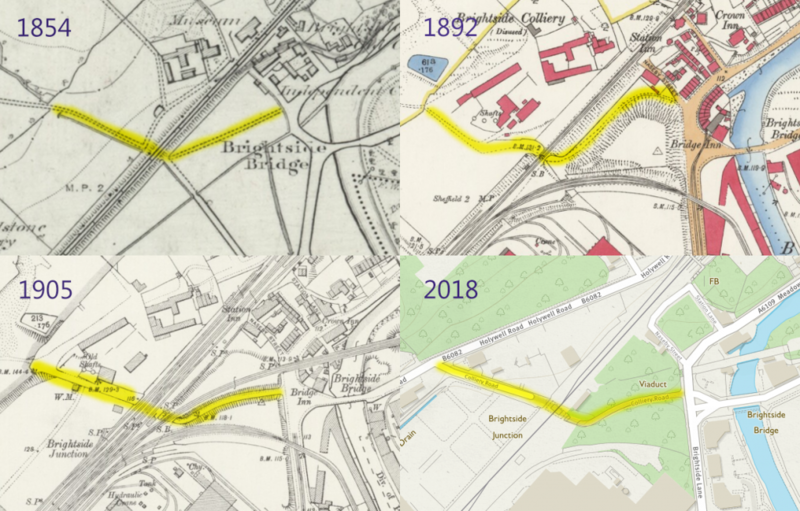 By comparing the 1854 and 1892 maps above we can see similarities between the buildings being shown, the map also shows there is no roadway from the colliery site into Brightside as a field is in the way. 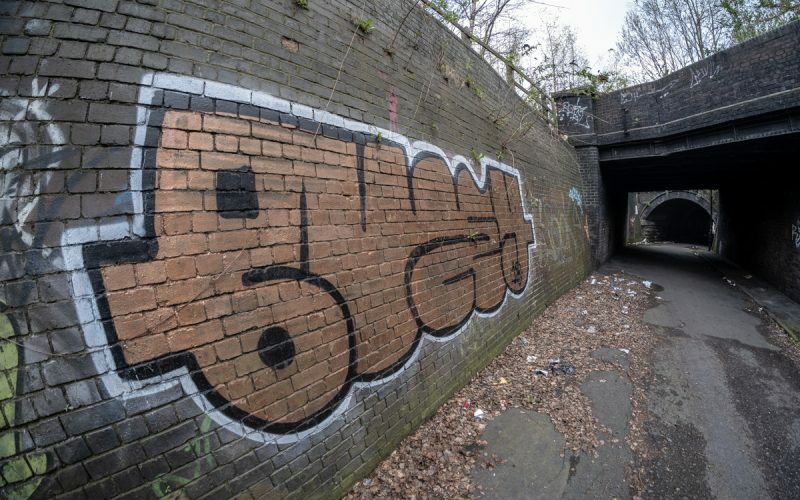 The coming of the railway would have cut access off from Naseby Street and maybe the landowner did not want to sell part of his field, or set the price too high, to permit access to the nearest bridge over the line on Jenkin Road and forcing further development of Colliery Road, the bridge and its parapets. 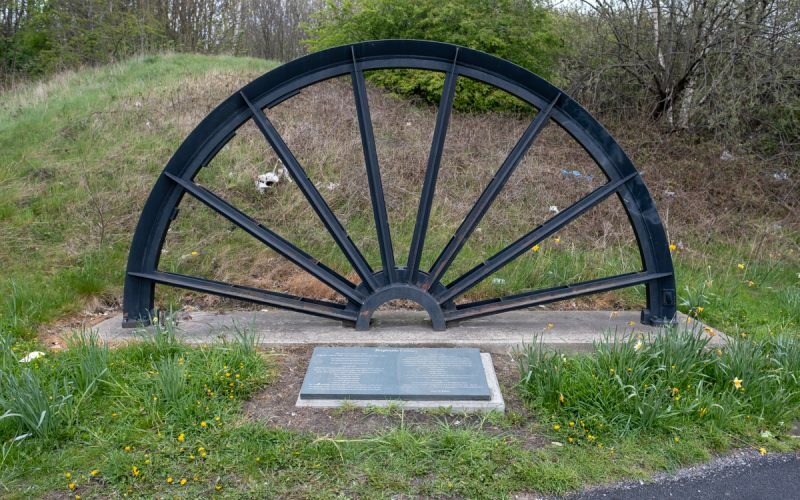 About the Brightside Colliery memorial, regarding the deaths that occurred at the mine during its operations.